Posted on 13 April 2019. Please give us your personal ratings for West Ham players who played for ten minutes or more in the Man United v West Ham in the Saturday evening Premier League match at Old Trafford. Manuel Pellegrini has announced his starting line up at Old Trafford and there are three changes from the side that lost against Chelsea. West Ham is back at the top of the Premier League injury table this afternoon with nine players unavailable from their squad. 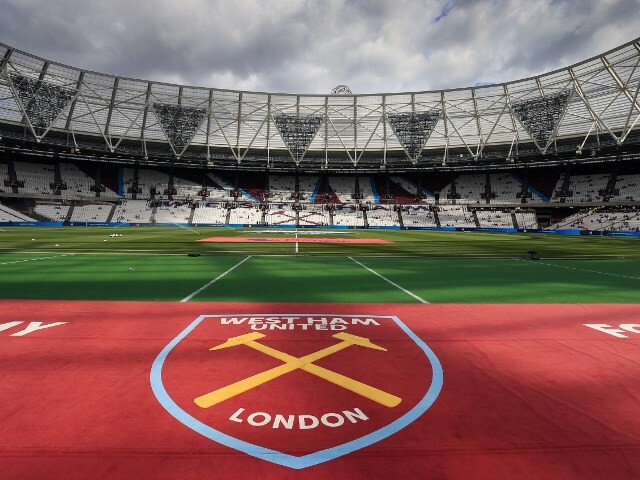 Figures revealed by the Safety Advisory Group show that 112 ejections were made from the London Stadium during three recent home games. Manuel Pellegrini has called on his players to up their game for this evening’s game against Manchester United wanting them to at least replicate the second half at Stamford Bridge as he hopes his team can show big club mentality. TV pundits predict more gloom for the Hammers on their travels to Old Trafford. Andy Carroll won’t be joining MLS club New England Revolution. Felipe Anderson has admitted he could have done better in in his first season at the London Stadium. How will the Hammers do at Old Trafford? The Hammers face another challenging game tomorrow against Man Utd. Posted in ClaretandHughComments Off on How will the Hammers do at Old Trafford? Ryan Fredericks has been very much on the sidelines until recently at the club. Former Hammer Yossi Benayoun has announced his retirement from football. Andy Carroll could be heading for the United States this summer with New England Revolution a possible destination. Operators London Stadium will trial concession turnstiles next season at the London Stadium. At present, a different coloured amber light is shown when a concession enters a turnstile whether they be Over 65, Under 21 or Under 16. A number of revenue protection officers are present on match days who then challenge anyone they deem to be abusing a concession ticket. Mark Noble has revealed how upset he becomes when seeing some of the comments directed at team mate Andy Carroll. Manchester United manager Ole Gunna Solksjaer has confirmed that he has a number of injury problems ahead of the clash with the Irons tomorrow. West Ham has yet to reveal ticket details for the Hammers away game against Spurs at their new stadium on 27th April. West Ham could hardly face a tougher run and Manuel Pellegrini’s dreams of grabbing that coveted seventh spot really does look a world away. Manchester United are reported to have something of an injury critis on their plates with manager Ole Gunnar Solskjaer facing some tricky selection issues for the Irons visit on Saturday evening. Samir Nasri has again been ruled out of action for the weekend game against Manchester United at Old Trafford. Manuel Pellegrini will carry on on fighting for the “European position ” – or seventh place – until it becomes impossibility.